Webisode “Infotainment”: Can it Boost Your (B2B) Brand Profitability? brand, brand marketing, brand metrics, brand positioning, branding, branding ROI, marketing strategy, positioning, social media, track ROI, webisode, what is brand strategy? A creatively relevant story about people’s lives can lead to stronger brand relationships…even in B2B. Over the past decade, content marketing has become the staple best practice for strengthening brand relationships. Blogs (like this one), white paper marketing, book authorship, branded documentaries, and one of the most intriguing and creative forms—branded webisodes—provide today’s marketer with an expanded palette of options to deepen and broaden customer relationships. The use of Webisodes—part of a trend called branded entertainment—is growing because marketers are compelled to find new methods to reach consumers in an era when traditional media are losing personal engagement time to the Internet. Webisode formats can range from a previews/trailers; a promotional series, part of a collection of shorts, or conversely, segments of a long form piece such as a TV series. Television and movies taught us that visual storytelling is the “killer app” for engagement. Done well, ironic humor and humanitarian appeal are especially effective approaches. Emotion adds dimension more powerful and motivating than even logic to any relationship. Focusing on issues or cause (social, life stage, cultural, moral, political, or other lightning rods) tap into people’s mind at a visceral level in contrast to sales approaches that trigger emotional barriers. When people “buy in” to a cause or an issue, selling isn’t needed to make a transaction. As my mom used to say, “Everything’s different but nothing has changed.” Blogs are really just reincarnations of the company newsletter with one big difference: WordPress and other digital blogging tools make it easier for anyone with a computer to be a publisher. White papers are still one of the best tools for thought leadership positioning. The difference here is digital creation and access. And webisodes are very much like early radio and TV serials, sponsored, owned, and produced by advertisers and their agencies instead of by producers and networks. The difference is the medium: broadcast versus the internet, the latter providing some game-changing advantages. It’s no longer news that web video is taking a bite out of TV viewership. Nielsen’s (television audience research) most recent study indicates that viewing by 18-24-year-olds dropped by a little more than 4-and-a-half hours per week. http://bit.ly/1p7nVvc That’s equivalent to roughly 40 minutes per day. My purpose in citing these stats isn’t to diminish TV advertising. It’s still the 800-pound gorilla to beat. But rather, my point is to emphasize that webisode marketing done right—with focused objectives, cogent strategies, and the right metrics attached—can now create a serious competitive advantage with clear ROI. For many brands that either can’t afford TV time or don’t fit into the TV advertising model (such as B2B), webisodes can present a green field of opportunity. Can webisodes deliver real business results? Many media historians portray our current period as the “post-broadcast era,” implying that audiences are sharing more of their video consumption with the web and media other than broadcast. Not to say that web entertainment will replace broadcast or cable TV. That would be like doomsters of the 1940’s and ‘50s who presaged TV replacing radio. And though it probably won’t displace TV, web video does contribute to an ever-fragmenting, increasingly complex media landscape in which consumers have so much choice that traditional media-driven marketing it is neither practical nor effective. That’s why content-driven marketing provides a sorely needed solution. It creates valuable, targeted content to repurpose in as many media as possible. On the flip side, in order to get views, web video needs to be supported with targeted search marketing, SEO techniques, social media, and traditional promotion. This support allows audiences to discover what’s important to them, in a compelling format, on demand—when they have a specific heightened need or interest. Webisodes fit this solution profile like a glove, versus dubiously relevant promotional content force fed as an inline component of entertainment programming (aka TV). On October 6, 2006, rapper Sean Combs (aka P. Diddy) debuted DiddyTV, sponsored by Burger King. Today, YouTube shows the first webisode garnering more than 993,000 views and 70,000 subscribers while building a social web brand community for a cultural niche. Not bad for an inexpensive webisode series. However, if you look deeper into the comments and thumbs down click counts, you might see a balanced story. While I see a couple holes in the metrics strategy (from what I can tell, the 307,000 hammerandcoop.com visitors weren’t directly connected to configuring a car or the resulting sales funnel), this early example of webisode infotainment broke new ground for the medium. Bottom line: Mini Cooper sales were down 4% Q1 2007 YOY. However, US Mini Cooper annual sales hit their highest historic point to date in 2008, at 54,077 units. http://www.goodcarbadcar.net/2011/01/mini-cooper-sales-figures.html It gives pause for thought. What about for business to business brands? Blendtec makes blending technology for home, manufacturing, and foodservice. They launched their webisode series “Will it Blend” (www.willitblend.com) in 2007, featuring its founder, Tom Dickson, in a wacky role as a lab technician attempting to grind up everything from cubic zirconium “diamonds” to iPhones in Blendtec brand blenders. YouTube shows more than 6.7 million views on the “diamond blend” show including more than 16,000 likes and only 2013 thumbs down. AnotherB2B example is an animated production by Lawson, a provider of software and service solutions in the manufacturing, distribution, maintenance and service sector industries. This webisode provides a good competitive positioning tool, effectively promoting Lawson’s “Simpler is Better” brand. It’s no slouch for such a nichey industrial target at more than 89,000 views. I’d like to see a metrics bridge that connects these views to results in a shift in positioning, revenues, and/or margins. Business-to-business brands can use content marketing—including webisodes—to exploit market niches with a fresh approach to engaging their customers, limited only by imagination and, of course, budget. Unlike broadcast TV, web presence is free, so the only cost in getting a series on the web is production, which can be managed incrementally with theme, creative development, and production values, which new technology has made dramatically more efficient. But wait. TV has built-in audiences (that’s what you pay the stations and networks for). With webisodes, you’ll have to generate the audiences yourself (you knew there had to be a catch). This “detail” has been the primary barrier in the success of many web videos. What’s the right objective for webisodes? Social media and advertising can get pretty expensive in the quest to promote your webisodes for customer acquisition. So why not start by using them to improve the lifetime value of your current customers? One excellent use for webisodes is cross selling lines to existing customers. Webisodes can provide context (relevant issues and situations that uncover real needs) in dramatic, comedic, or simply interesting ways (how to, etc.). This leads the customer to buy into a larger brand context and a larger solution set. With effective funneling surrounding the webisodes, it’s possible to tightly track ROI on existing or past customers. Despite a few days of exhaustive research on the web, I haven’t been able to identify any recent B2B webisode examples. Maybe that’s because there’s not yet a tried and true formula that links webisodes to ROI. GroPartners is now engaged with one of our clients in an effort to do just that. We’ll keep you posted. Meanwhile, if you have any additional information on webisodes that you’d like to share on my blogpost, please leave a comment (link top of page). I’d love to post it. In recent years, branded documentaries have gained popularity in the marketing mix among a wide range of brands, including Stella Artois, Ericsson, Audi, Proctor & Gamble (Pantene/Downy), PetSmart, Jack Daniels, and Revlon’s Mitchum deodorant and many others. The difference between branded documentaries and advertising or public relations is that they are actually “micro movies” (usually 3-20 minutes long) versus ads or sound bites (under 90 seconds). And unlike corporate videos, branded documentaries are issues-focused, versus brand-focused. These micro movies “feel” different. They tell emotive stories with cinematic techniques, resulting in a deeper and more engaging experience than is possible from any form of direct promotion. Some filmmakers behind branded documentaries prefer original music scores to heighten this cinematic experience. They feature real people telling stories around issues and events in their own words with authenticity that only the “real deal” can evoke. The sponsor’s brand may not be featured in the production, though sometimes cleverly placed. Instead, these films often use a carefully crafted storyline to present a worthy cause, or build a solid case for why certain attributes present in the brand are important in making people’s lives better. Pantene Beautiful Lengths used branded documentaries to promote a cause: donating human hair to make wigs for cancer patients. Legendary documentary director Albert Maysles helped Mitchum keep it’s slot on retail shelves. Mitchum rekindled interest in the heritage brand by sponsoring a nationwide contest in search of the “Hardest Working Man in America” in 2010. The deodorant/antiperspirant brand worked with CAA Marketing, director Brett Ratner (“Rush Hour,” “Red Dragon”) for a branded-entertainment program that played to its heritage and tagline: “So effective you could skip a day.” The winner was Chad Pregracke, founder of Living Lands & Waters, who alone racked up more than 50,000 votes for the award. Chad hauled over 6 million pounds of garbage from America’s rivers and their water sheds over the last 10 years, working seven days a week and selling what he could from the trash. See http://vimeo.com/64632163 for a short video case study including traditional and social media programs supporting the program and results. Can documentaries actually convert customers or make paid promotion more effective with a halo effect? I’d love to see a study on that. Online video now accounts for 50 percent of all mobile traffic and up to 69 percent of traffic on certain networks. (Bytemobile Mobile Analytics Report). Statistics supporting web video as a dominant medium go on ad infinitum. For the most part, it appears that filmmakers and brands agree on the common attributes of successful branded documentaries. Contact GroPartners Consulting for more information on how to make branded documentaries work for your organization. 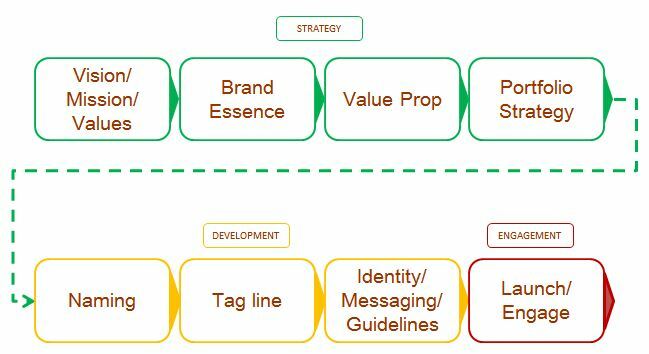 B2B brand equity, B2B branding, brand, brand metrics, brand ROI, internal branding, marketing branding, marketing strategy, operationalization, operations, what is brand strategy? B2B marketing folks are often deer in the headlights when their CFOs challenge them for proof that brand building funds return value on their investments. Financial executives – especially in B2B organizations – often have a hard time justifying brand-building investments. That’s mostly because when marketing folks like us are asked to provide ROI calculations for the big bucks we request, we morph into deer in the headlights before their very eyes. So what do we do? We cloak brand building in marketing execution expenses that the financial guys can wrap their heads around. Simply put, we expense it. Feeling wimpy yet? You’re not alone. But now it’s time to help your CFO understand the value of building brand equity and put it in the asset column where it belongs…because investment in assets and a solid valuation methods are things they can relate to. Who Doesn’t Want Higher Business Valuation? For many middle-market B2B companies, brand equity falls off the financial radar completely, mostly because there’s no official GAAP measurement formula for organic brand equity. In a survey of nearly 200 senior marketing managers, only 26 percent responded they found their “brand equity” metric very useful. That’s pretty sad, considering that some prominent marketing researchers believe brands are one of the most valuable assets a company owns. This is a measure brand and marketing managers should leverage in their stakeholder relationships. Who doesn’t want 5% – 20% more company valuation? Even in B2B, where “branding” is looked upon as something more suited for consumer products, brand equity can account for 5% – 20% or more of a company’s market value. And who wouldn’t want that (except maybe for that Cheerio-lobbing cherub who disses Jimmy Fallon on those Capital One commercials)? In certain industries, increasing customer loyalty by 2% can impact the bottom-line in the same way as a 10% reduction in costs (The Market Research Executive Board, “Measuring Brand Equity”). The report continued to cite that a composite of companies with brands considered by business leaders as “superior” grew 402% in the 1990s while the Dow Jones Industrial Average rose only 308%. And if that tidbit doesn’t cause pause in your CFO, toss this one at her: research finds that companies with the largest gains in brand equity generated an average current-term stock return of 30%, while companies with decreases in brand equity lost 10%. This is the kind of cred bean counters need to begin viewing brand as an investment instead of an expense. What is brand equity really? Brand equity trends are a good barometer overall brand health. But much like measuring the happiness of hippos, no single, comprehensive, industry-wide definition for brand equity exists. If pressed for a broad definition, brand equity essentially addresses the financial value that a brand’s identity, persona, and emotional appeal add to a product or service. 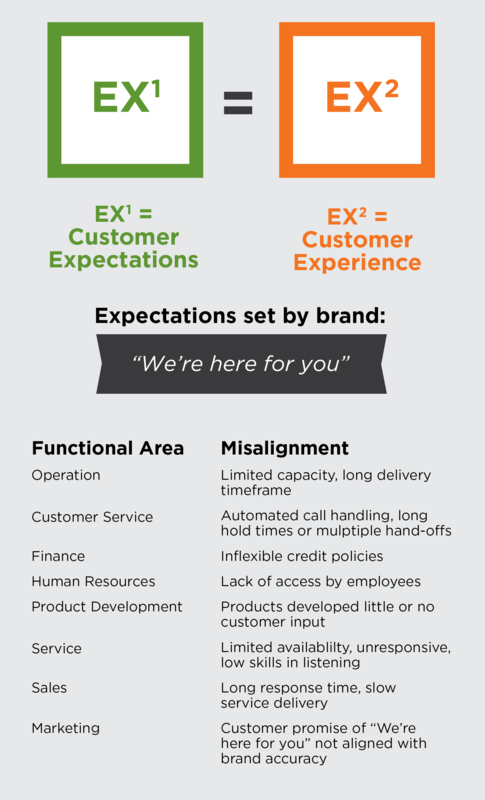 It’s less about function and more about the customer experience and relationship. It all comes down to RAPPORT. “Emotional value” is a pretty squishy thing to measure in financial terms, but it is undeniable that even in B2B, emotional attachment is a powerful issue. Though it may be expressed on different levels than B2C, people are still involved in the decision-making, influencing, and purchasing processes. And where there are people, there are emotional attachments. The bottom line is…well, the bottom line…meaning that even if a brand has an emotional connection with its stakeholders, differentiation in the marketplace, high awareness, and easy accessibility, but not sustainable sales and margins; what’s it worth? This could be one reason why many B2B financial folks hold limited regard (and approve fewer, smaller budgets) for supporting this “phantom asset” than in B2C. The flaws in most approaches to B2B brand equity measurement are their overemphasis on marketing factors and diminished emphasis on business, financial, and operational efficiency factors. After all, equity is a financial concept, so brand equity measurements – especially in B2B companies – should be less about the marketing aspects and more about the business and financial impact, right? One hitch: Marketing folks are more comfortable identifying and measuring brand equity drivers (marketing factors) that are great for prescribing ways to improve the financial equity of a brand, but not so good for measuring the equity. See the difference? 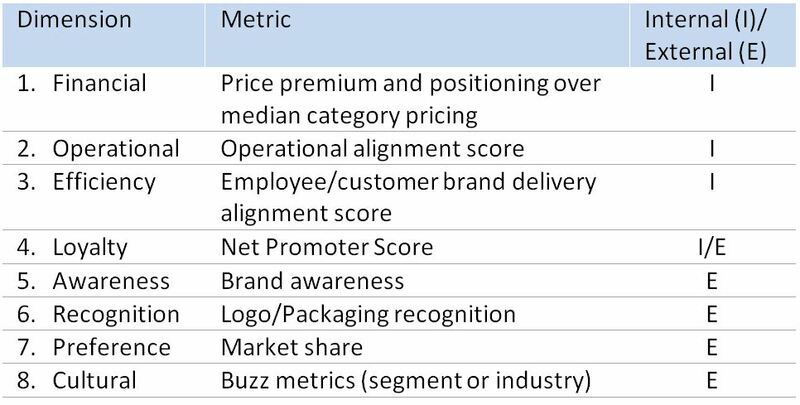 To provide measurement of brand equity specifically for middle-market B2B brands that balances the marketing (external) and financial (internal) dimensions of the brand, I’ve crafted a scorecard that balances the two. The scorecard framework is based on the perspective that brand and business objectives always work hand-in-hand, because neither would exist without the other (if you believe that brand is a relationship with stakeholders). Another point to keep in mind is that the scorecard metrics are not meant to be used as isolated snapshots, but rather assessed in trends, taking the measurements at different periods over time and watching the delta and direction. This trending approach averages temporary influences and favors long term outlooks for valuation and predictive modeling. Internal factors are things that can be controlled internally, such as setting pricing, aligning people, or switching operational processes or investing in specific capital equipment. These are business metrics. External factors are controlled by forces outside the brand organization. They include factors such as media, marketing, events, economics, etc., and affect the dimensions of external culture, awareness, and preference. Loyalty is a bridge between internal control factors and external control factors because the organization (internal) has control over loyalty programs, but customers (external) are ultimately the ones who control the loyalty score. These unique qualities make loyalty a very powerful indicator of brand health because they provide an ultimate measurement for the faithful delivery of the brand promise. This is a traditional brand equity measure. One caveat: Make sure the category is segmented very carefully (whether you are valuing a product or corporate brand). Price premiums can skew heavily either way if the category includes competitive alternatives or substitutes positioned off your target. If you’re valuing a corporate brand, you can quantify corporate perceived price positioning by using a “basket of brands” approach against the market median pricing of an equivalent basket for each competitor. This is an internal metric because the B2B brand has control over its pricing. Operational alignment occurs when the operational aspects of an organization and its people are all in alignment with the brand strategy. This means that everyone in a line position knows what to do on a daily basis in their jobs to support the brand’s delivery to its customers. This often combines elements of the corporate and product brand strategies. Operational alignment is not given much credit in the brand equity spreadsheet, but it can dramatically reduce costs in many ways. This is an internal metric because the B2B brand has control over its operational investments, processes, and policies. Brand delivery is a brand touch point metric that assesses the alignment of stakeholders’ beliefs of what the brand delivers to them, above and beyond the functional aspects of the product or service. When employees and customers share the same understanding of what the brand is delivering (attributes beyond the functional), a brand is well aligned. When operationalized in every employee and customer group, this metric can pinpoint areas of misalignment, leading to clues for significant improvements in customer satisfaction. This is an internal metric because the B2B brand has control over setting and meeting customer expectations. The Net Promoter Score (NPS) is a measure of customer advocacy and evangelism. Essentially, it measures the percentage of branded customers who actively refer a brand within their personal and professional networks. High NPS has been related to strong brands and sustainable financial success. This is a hybrid internal and external metric because the B2B brand and the customer each have some control over loyalty. Brand awareness alone is a measure of marketing success and not necessarily financial success. But combined with the other metrics in this scorecard, it can help drive financial success. This is an external metric because awareness is a customer perception factor. Brand recognition is an important dimension that helps quantify not only differentiation, but also the degree to which a brand cuts through the noise of the modern marketing landscape. It is an external metric because it is customer perceiption-based. This metric is a traditional bell weather and helps round out the competitive success of the brand. This is an external metric because it deals with the external market competitive milieu. Social media has made “buzz” an undeniable part of our brandscape. Measuring resonance with brand positioning amidst current socio-economic trends is another facet of awareness, but includes richer customer positioning connotations. This is a purely external factor because it is in the control of customers. All metrics should be expressed in percentages and averaged together for a composite score. Each or any of these factors can be weighted to accommodate specific industry peculiarities. Once you begin treating your brand investments like investments instead of expenses, you’ll be surprised at how much more confident you’ll be in your brand budget discussions. A strong corporate brand strategy is one of the most powerful forces an organization can marshal. Properly operationalized, it can m easurably improve top-line effectiveness for product brands and bottom line efficiencies throughout the organization from the stock room to the board room − and everywhere between. In the best brands, the strategy acts as a guide for every stakeholder decision, from the highest level to the most granular, which can result in reduced management costs and greater employee satisfaction. But just as any other kind of strategy, the true power of brand strategy is activated only with aligned execution. A brand strategy road map helps brands stay on track with clear process, aligning business, vision, people, and process. Brand strategy originates in your organization’s vision and values. Aligning business goals, customer wants and needs, and employee satisfaction with that vision is critical to sustainable growth. Your company’s best branding strategies will almost always come from aligning customer insights with organizational vision, values and business objectives. Those strategies are brought to life with brand development (logos, messaging, governance, programs, products, services) and should permeate your organization’s processes and culture/employees. Only on this strategic footing is the brand ready to push outward to customers through sales and marketing touch points. This process helps organizations “live the brand,” so customers’ and consumers’ brand experience is consistent with what the brand stands for. This consistency provides a host of business benefits from enhanced productivity, support for premium pricing, and deflection of competition, to higher revenues and margins. When a merger or acquisition occurs, though there may be solid business due-diligence behind the transaction, brand misalignment is likely. Rarely are two brand cultures so similar that an alignment action isn’t needed to optimize business performance. Developing a brand strategy roadmap, along with some seasoned facilitation and guidance, helps resolve brand misalignment issues so people and processes support a common goal. Alignment essentially assures that people, processes, and business goals all understand the vision and support each other. Alignment of talent, brand delivery, marketing, operations, and other functional areas and stakeholder groups make up the entire alignment picture. “People” include not only employees, but also distributors and customers. There’s a debate among brand consultants about whether business strategy drives the vision or vice-versa…that business strategy may change the organizational vision. I’d like to hear your thoughts on this. Leave a comment (see top of post). Delighted customers are worth more than their individual revenue streams. In my August, 2010 frenchonbrand.com, “Is Customer Delight Overkill?” (http://wp.me/pU6PC-25), I downplayed the concept of customer delight as potentially over-performing on the premise that people don’t necessarily want to be delighted, merely satisfied. My logic was that over performing in this area causes excess cost. Since then, and as a result of one of my reader’s well-informed and thoughtful comments (thanks, John H. FMB!) — and more research on the subject — I’ve moderated my position on customer delight and pass along the following convincing metric: a way to measure the impact of customer delight on word-of-mouth promotion to optimize the investment. The result is sustainable growth. To measure customer delight word-of-mouth radiance, Reichheld offers the following formula (this can be modified per individual situation). A customer survey is needed to capture the information needed to perform the calculations below (contact GroPartners for specific survey content). Pick a benchmark date in the past (for example, the past 12 months, or last fiscal year). Then use this measurement process. 1. How many delighted customers do you have? 2. What is your average new customer worth? 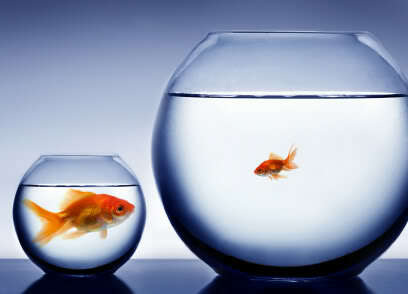 Calculate (or see industry analysts’ calculations) what your average new customer is worth in dollars and cents. In your survey, find out the number of people per year to which each promoter might have commented, and multiply the average number by the value in #4 (above) to get the value of word-of-mouth per promoter. This is the “magic number” that helps optimize customer delight. Anything can be measured. Even the power of customer delight. Now I’m a believer. How about you? GroPartners Consulting helps middle-market organizations bridge strategy and execution for better business results.